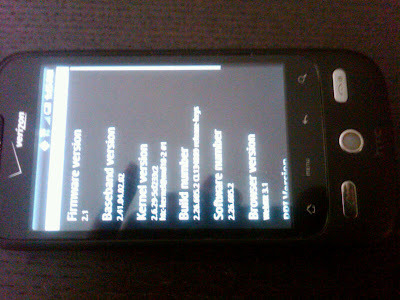 news broke yesterday that htc would be releasing android 2.1 to a bunch of their phones with one being the droid eris. this was good news to eris users as they had never really heard a firm confirmation on what os update they would eventually be receiving. so “yay!” to that! My IT guy recieved an update on his Eris today that seems to be 2.1 It did not go well either. It wiped all content including apps on his phone. Why are they send the eris updates before us? I google it and have not seen any other chatter about this. update 10:15am: another comment through the cnet link up top refers to the same update with the same results as our secret commenter including no sense ui? huh? Actually I got the update this morning. It took quite a lot of of time. 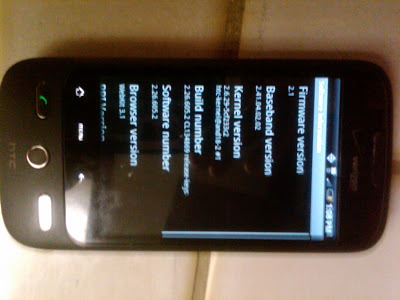 It includes Android 2.1 but not the Sense UI update. The new UI is much more responsive, however be careful, it will simply erase all your data on the phone. With no warning… You’ll have to run the setup wizard again, which is really a shame. update 4:04pm: one of our sources has confirmed a call from a motorola droid user who received an ota update to 2.1, but came across issues while attempting to install it. after 2 attempts at the update, they were still on 2.0.1. I posted the first comment about the eris with 2.1 and my IT guy. Well one thing he said was it did add the car home feature with turn by turn directions with the update. I have not seen it myself but that is what he emailed me this afternoon. Sorry for the poor grammar in my first post. I was typing from my phone. it’s now sounding more and more like eris users truly are receiving some sort of an update to 2.1. some are reporting that sense ui is missing while others apparently still have it. and now after our source has confirmed an update request from a droid user, we have to wonder what verizon has done this time. this is shaping up to be a huge disaster for htc, motorola and verizon.